In the next three years, Lotto Soudal can count on the services of Tim Wellens. Last year he made his breakthorugh and now he wants to confirm his potential. In 2015, the ambitious rider has red-circled the Tour de France in his calendar. "I don't want to wait another year before making my debut," he tells Sporza. Yesterday 23-year-old Tim Wellens signed a contract with Lotto-Soudal team that will see him ride for the team until the end of the 2017 season. Acoording to the Belgian, it was a logical choice. "I started with this team and have always felt good here. I do not really want to go elsewehere. I know the people and it is nice to stay in familiar surroundings," he tells Sporza. "I've heard that there was interest from other teams but I was still under contract with Lotto. Then it is difficult to talk to others. Then Lotto asked me to extend the contract. Everything went fast." Last season things also went fast for Tim Wellens. In the Giro, he first showed his talent to a broader audience. "The Giro was good for me. Everyone says you get better a few percent better after a grand tour. But I really got a lot better." Wellens continued the good showing, with the highlight being the final victory in the Eneco Tour. "After that a lot has changed. I am now much more in the spotlight, but that's only natural due to my results. Whether I like it? I will not say it's nice but currently it does not bother me." It is a disadvantage that his rivals int he peloton now know Wellens a lot better. "I know that it will not be easy to attack in 2015. In the team, I have got a lot more respect after the Giro. Whether I am paid as a true leader? No, but I am paid for what I can do at the moment." In 2015, Wellens is targeting Paris-Nice and then he will focus on the Ardennes classics. "I just want to do better than this season. I've done well this year. But if I perform equally well in 2015, people will say that I have had a bad year. I have to ride better." 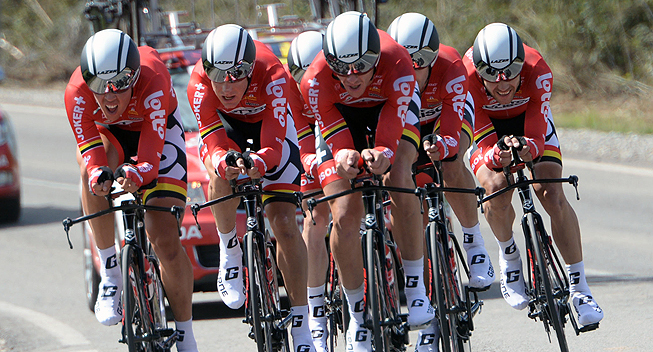 According to some observers, Tim Wellens should test his limits in the Giro and the Vuelta in 2015 but the Belgian sees no point in that plan. "If I don't get sick, I will be at the start of the Tour," he says. "What is my role? I will go in breakaways and will try to win a stage. I'm certainly not going to ride for the GC. Have I redcircled a specific day? Several days," Wellens adds. "I do not want to wait another year. If you can, you have to ride. The Tour is the biggest cycling race in the world. I want to go there. When you're a kid, everyone wants to win the Tour. That is still a dream, even though that's a bit impossible."